At 34 years old, and in the MLS offseason, he was training with the club to maintain fitness. As Gervinho jetted off to play for Côte d’Ivoire in the African Cup of Nations, Arsenal was left short of options up front. After seeing he still had the spark that he left five years ago when he moved to Barcelona, the club asked him if he would like to come back. A two-month loan deal was approved, but Henry himself said that he wasn’t sure how much he would play. As he ran out in full tracksuit down the sideline to warm up, the news started to circulate. Turning to the person next to them saying "Henry is warming up! He's warming up!" and every one was fixated on him. When he jogged back to the bench to strip down and get ready to come on, cheers and excitement filled The Emirates stadium. 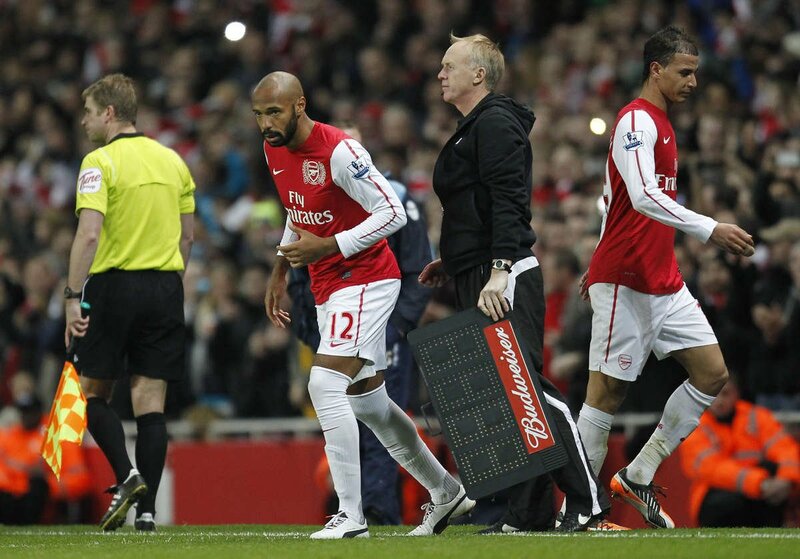 Henry’s iconic #14 was currently occupied by Theo Walcott, so he wore #12. He had originally wanted #12 when he originally came to the club, but it was taken by Christopher Wreh. Arsene Wenger called for a double substitution in the 68th minute. Stood next to Theo Walcott, waiting for his number to go up. The board read 12 for 29. The stadium announcer, Paul Burrel read out: “Replacing Marouane Chamakh - #12 Thierry Henry”. Goosebumps and memories of those 226 goals he scored in the famous red & white rushed back. He received a standing ovation as he jogged onto the pitch. After a throw-in deep in Leeds’ final third, Henry found himself drifting on the left wing. A stout Leeds defense so far, was holding the width of the 18-yard box. Arshavin squared the ball to Alex Song about 30 yards from goal, and the move took its’ shape. As Song marauded forward, Henry spotted the run. Darting behind the unaware right back, Alex Song weighted the perfect through ball. Opening his body to bring the ball under control with his right foot, his first touch set up the right foot curler. Henry kept the ball along the ground and as he must have repeated that finish thousands of times in his career: the ball found the side netting. He knew it was in the moment he struck the ball, and was celebrating before the ball crossed the line. 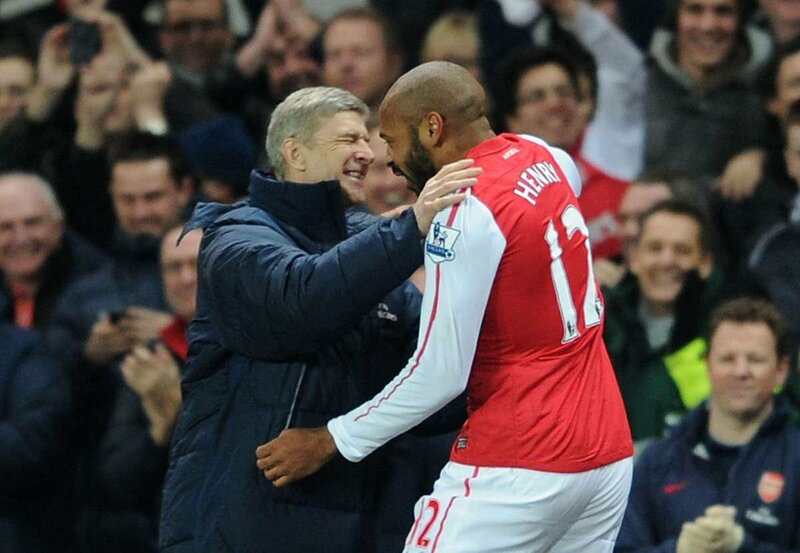 In a rare moment of true emotion, Henry ran around the corner flag and down the sideline straight to Arsene Wenger. The two shared a hug not of just celebration, but of pure love for the club that has been an enormous part of their lives. "My strike against Leeds when I came back to London in 2012 was my favourite goal for Arsenal. It was the first time I scored as a fan. You know, I wasn’t meant to come back and I came back. I wasn’t meant to play, I played. I wasn’t meant to score, I scored." Perhaps the most damning thing about his return is that new and younger fans did not witness the greatness that preceded from 1999-2007. But, if that moment is their only memory of Thierry Henry in an Arsenal shirt, then what a memory it is to have. Henry is and always will be an arsenal legend. At his age it’s amazing for him to even be considered to come on as a sub in one of the most difficult league to play in, let alone score a goal.